Nothing is permanent in this world, which is why we, human beings try to be in peace with our temporary pleasures of life. One such pleasure is Tattooing. People say, ‘They want to carry their tattoo to their grave.’ It is also true that, this tattooing as pleasure has been in this world since time immemorial but it has turned into a huge business since 1990’s. There is no scale which can define art and an artist’s skills. 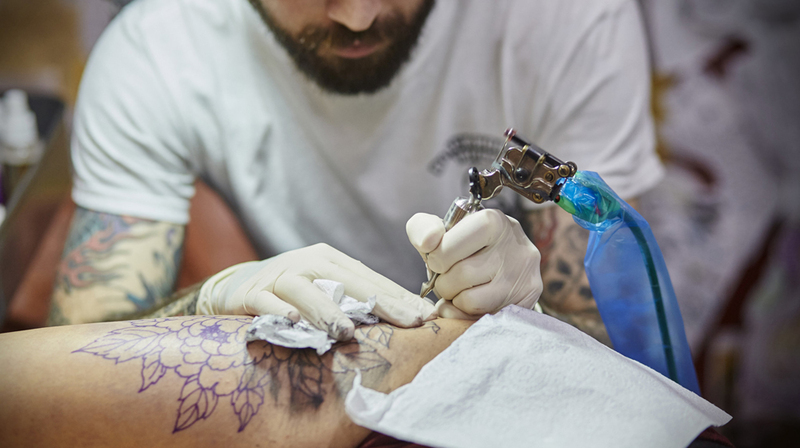 For being a tattoo artist or to run a tattoo business, one does not necessarily have to be as skillful as Leonardo Da Vinci or a simple artist for that matter. The customer generally has a picture already well thought or researched before they land up in front of a tattoo parlor. Thus the artists just have to have the basic idea of tattooing. Moreover there are plenty apprenticeships available for learning the basics of the body art. All that matters is that the finished art should be well put on the customer’s body, because once it is done, it cannot be undone. This is important because, as much as the youth is accepting towards this work, there is generation which is not very fond of it. If you happen to find a place in a society or locality filled with houses or small shops, your parlor might not get the required exposure to be a successful one. Thus market research is very important to find out the suitable location, in order to open the business. It is also important to call celebrities, who are fans of body art or who have at least carried on one body art for inauguration of your business. This will help in garnering enough publicity to provide the initial kick to your business. Generally it is observed that business in body art has been initiated by two best friends, who turn business partners. After a point it becomes too complicated as the business grow, it starts affecting relationships. One cannot throw orders nor do the whole work alone, just because they are friends. One has to draw the line between professional life and personal life. Make some specific rules and follow them strictly, when you are in the business, because running or starting a business alone, might sound too much work fell on one soul alone. More than one, friendships has been torn apart by a business relationship, so rather than risking both, it makes sense to have contracts in place and expect everyone to abide by them. One sitting might last from 30 minutes to 5-6 hours of concentration, sitting at one position and keeping the hand steady. Which is why hiring is required for allotting work to people in the parlor. One cannot fix appointments, do tattoo work, maintain cleanliness, and treat the customers all at once. Do not unload all the pressures upon yourself in the motive of saving a few bucks. The best approach is to determine, what and all you can handle well and then hire people to perform rest of the work left, in day-to-day life.